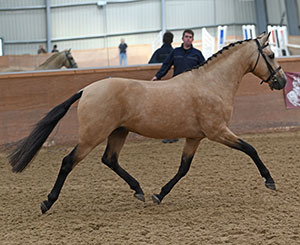 Bathleyhills Swift Promise has fantastic German and British proven performance bloodlines as well as the "cream" gene so his progeny could also be palomino, buckskin or smokey black (depending on the mare's colour). 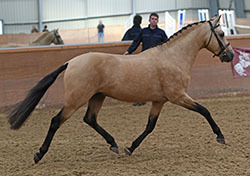 With his proven German Riding Pony heritage, SPSS graded Bathleyhills Monet is a modern sports pony sire who is also registered PB Arab (26.98%) and PB Welsh (20.3125%). Reserve Champion at his SPSS Grading as a 2 year old, Monet was awarded an Oldenburg Society Foal Premium then, as a Yearling, he gained Elite Status & was Top Yearling Pony in the BEF Futurity. His sire, Casino Royale K was Champion Stallion at his Licensing & double Bundeschampion. His dam, Mona, was a Premium graded Westfalen mare awarded Silver Medals in 1992/93. She produced at least 3 licensed stallions, including a Licensing Champion, before import to the UK. 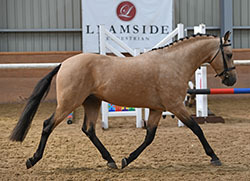 Mona was awarded the “Leading Sports Pony Dam” Certificate of Merit by the BEF in 2010. 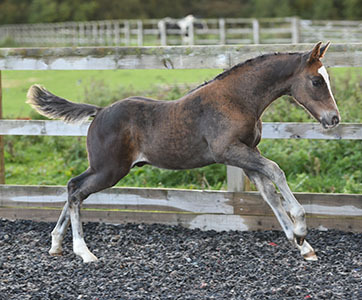 Welsh part-bred and SPSS Main Studbook graded Bathleyhills Sea Swift is a daughter of Bathleyhills Stud's foundation mare, the WPCS Section B, Loveden Sea Swallow. 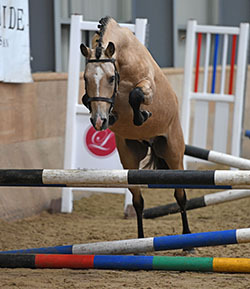 SPSS Head Studbook graded Sea Swallow has an impressive breeding record and was placed highly at County Level showing and qualified for the Ponies UK Championships. She was graded into the SPSS Main Studbook in 2005 with 78.5% and since then she was also inspected and accepted as "Stutbuch I" for Germany with two societies (Weser-Ems & Pferdezuchtverband Sachsen-Thuringen e.V.). The highest placed Sports Pony Dam in the 2011 BEF Futurity, Swallow has bred 3 Graded Mares (and her first granddaughter is also graded SPSS Head Stud Book) and Supreme & Championship winning foals. |As a result, she was promoted to SPSS Head Studbook status in 2013. 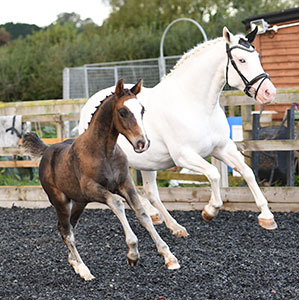 In 2015, one of her sons, Bathleyhills Sea Wurzel (by Caesar 171) and his 13 year old rider triumphed at the British Dressage Winter Championships in April becoming the 2015 Baileys Horse Feeds Novice Restricted Music Freestyle Champions. Thursden Vallye Raphael, known as "Chocolate", is a striking son of SPSS graded Sports Pony Stallion Aimbry Chester out of a classically bred and SPSS graded mare by Yealand Night Owl. Chocolate is a multi Champion Ridden and In-Hand competition pony, awarded best stallion of the day at the ridden Cherif Championships and winning his 1st Novice affiliated Dressage competition with a score of 69% at only 4 years of age. Raphael also sired the Champion Pony Foal at The All Ireland Championships at Cavan 2008. In 2010, Raphael was placed 3rd in the Cuddy In Hand Final at HOYS. 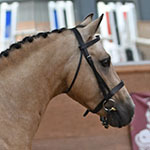 At 12 years of age he was competing at affiliated PSG level and achieving top 3 placings. Batheyhills Swift Promise was graded by the SPSS in September 2017 when he stood as Northern Region Reserve Champion. Available at public stud for the first time in 2018, Bathleyhills Swift Promise has fantastic German and British proven performance bloodlines as well as the "cream" gene so his progeny could also be palomino, buckskin or smokey black (depending on the mare's colour). With his sire, dam, all of the second generation and 3/4 of the third generation of his ancesters being either SPSS or DRP graded/licensed, Swift Promise's pedigree is clearly well proven well beyond his carefully selected parents. His first foals were born in 2015 and the two presented to the SPSS for evaluation as yearlings in 2017 were both awarded SPSS Premiums with good scores, as did his two 2017 foals, including Islestone Moon Bug pictured below.